Back to december 2018: Agenium Group launched Agenium Space. 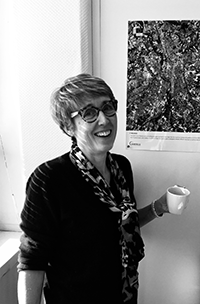 The executive director is Christine Fernandez-Martin who has a science background (a Master’s degree in Mechanics at Paul Sabatier University, followed by a degree in engineering from ENSICA in Toulouse in 1989). Christine started her career at CISI (future CS) as spaceflight dynamics engineer where she worked for several years on the flagship project Spot4/Helios. Afterwards, she managed a team performing studies in Mission Analysis and took the responsibility of the CS Spaceflight Dynamics Department (35 persons). With ten years of experience in this area of expertise, she was in charge of the entire Business Development of the Space & Intelligence Division, a position she will hold for three years. In 2012, she joined Magellium and was put in charge of the Imaging Systems Department. Two years later, she was in charge of the Earth Observation Business Unit (35 persons). These numerous works and achievements are the result, in particular, of trusted partnerships established with major players in the space industry such as CNES (French Space Agency) and ESA (European Space Agency).